Great Romania turns 100: What Has Transylvania Received from the Romanian State? The last 100 years have produced several notable anniversaries in both European and Hungarian history. Last year marked the centenary of the Russian Revolution (or coup as several historians call it), and this year is the 100th anniversary of the end of World War I. 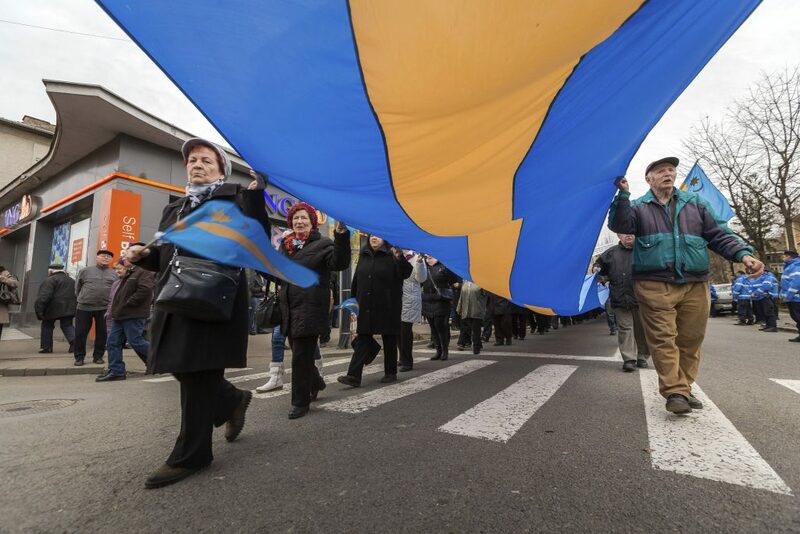 There is a third centenary as well, as the Romanians declared the unification of Transylvania with Romania at their gathering in Gyulafehérvár 100 years ago. As a result, December 1st is a national and bank holiday in Romania. For Romanians, the aforementioned anniversary was a fundamental step in the process of their evolution as a nation. However, it’s viewed as a major tragedy in Hungarian History, comparable only with the Battle of Mohács in 1526, which led to the partition of Hungary for several centuries between the Ottoman Empire, the Habsburg Monarchy, and the Principality of Transylvania. Understandably, the two nations have completely different approaches to commemorating the Gyulafehérvár Declaration. Transylvania used to be one of the most colourful regions in Europe, steeped in diverse architecture, literature, and folk music. Unfortunately, the 20th century put an end to this flourishing diversity and morphed the land into a more homogenous state. The number of Hungarians has decreased, the Jewish community disappeared primarily as a result of the Holocaust, and the communist state sold ethnic Germans (Saxonians) to West Germany. After communism fell and the borders opened, the trend continued to intensify. In Transylvania regionalism has been gaining momentum as of late. Besides Hungarians, a growing number of Transylvanian Romanians are dissatisfied with the centralized leadership in Bucharest. Transylvania has always been one of the most developed areas in Romania with its close proximity to Western-Europe. Despite this, the Romanian government has neglected the region’s hardly developing infrastructure, which boasts a rundown railway network and very few motorways. According to popular opinion, Romania has treated Transylvania unfairly over the last 100 years and it’s high time to form a sort of Transylvanian autonomy wherein Transylvanians could have greater access to resources and a bigger political influence in Romania. Ethnic Hungarians – amounting to 1,3 million – have a good reason to be uncomfortable with the Romanian minority policy. Székely Land (populated predominantly by Hungarians who call themselves Székely and have a very strong local identity) hasn’t gained autonomy despite being supported by the official policy of Hungary and both Székelys and Hungarians. The use of the mother tongue is limited, and the wishes of Hungarians are primarily ignored in education. In the Medical University of Marosvásárhely, Bucharest deliberately blocks the operation of the Hungarian department. 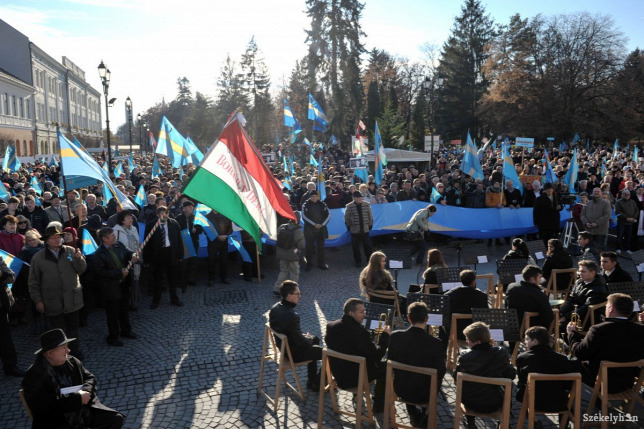 Hungarians in Romania criticise the poor economic development in their environment, pointing out that the lack of investments is not by chance, but a direct consequence of the nationalist, anti-Hungarian policy the Romanian government has been pursuing for decades. The greatest challenge facing the Hungarian community is figuring out how to build a strong and prosperous community in their ancestor’s land, rather than just continuing to exist in it. To that end, it’s essential to consolidate education, build a thriving Hungarian middle class in Transylvania, and keep their youth at home. Lobbying internationally is also a fundamental task. In the 21st Century, it’s unacceptable for a member of the European Union to treat its own people like second-ranked citizens based on ethnicity. Transylvania, a vibrant European region, rich in geographical and cultural assets, hasn’t gotten what it deserves. In order for the region to grow and have a better chance at an improved future, both Romanians and Hungarians in Transylvania need to work together to stop the current trend.